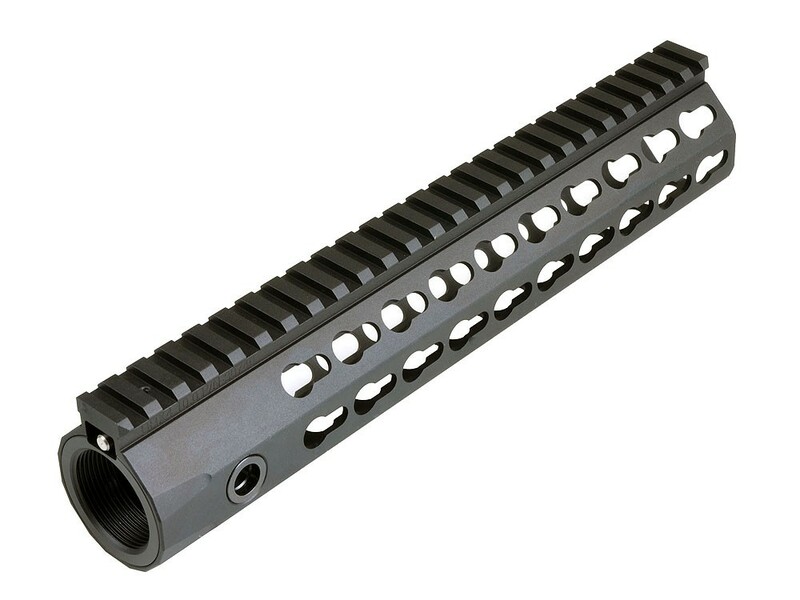 Knight’s Armament Airsoft URX4 Keymod Rail - Black - 10"
MadBull Airsoft, working alongside with Zshot Airsoft, is proud to present to you the KAA (Knight’s Armament Airsoft) URX4 forend Handgaurd. 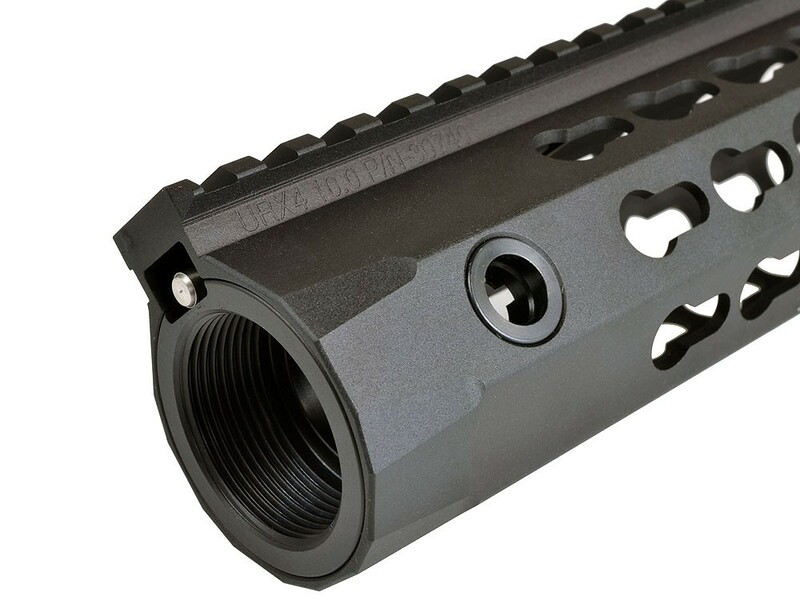 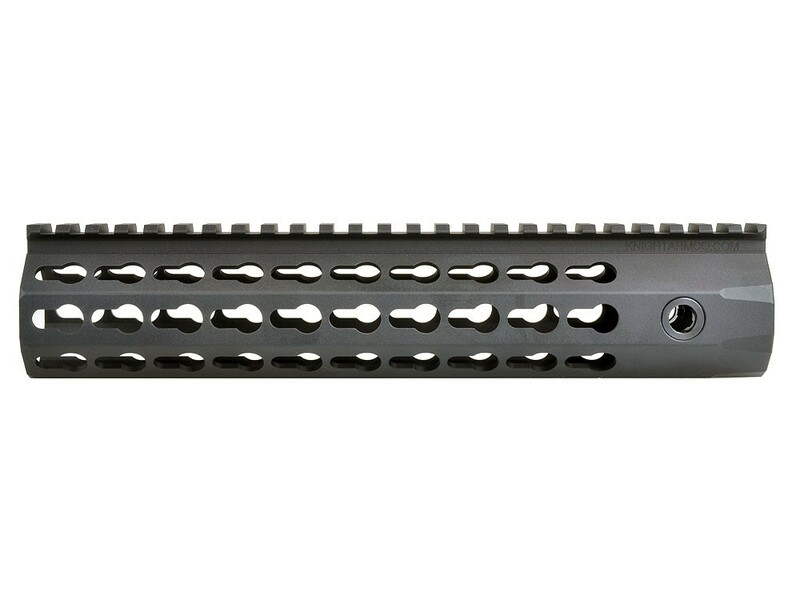 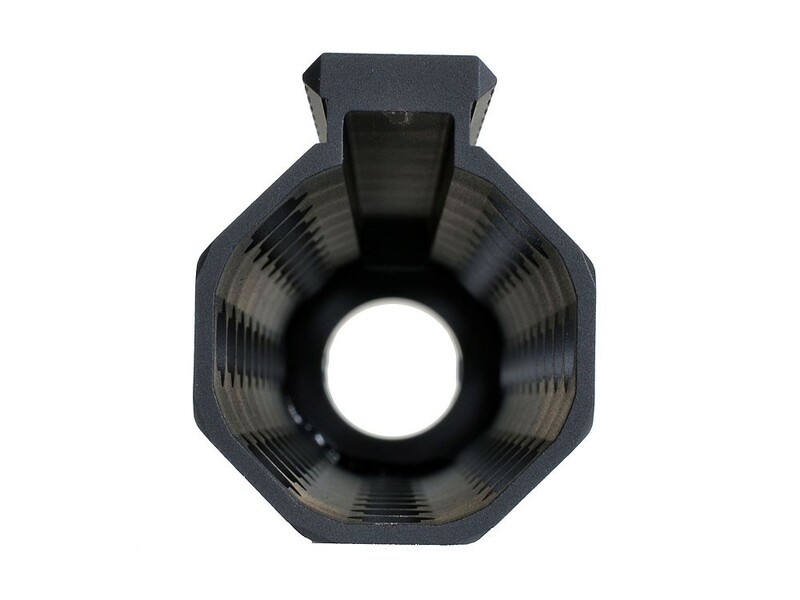 The URX4 rail is a unique accessory because of its integrated barrel nut and replica gas block tube, which are both simulation to real forms. 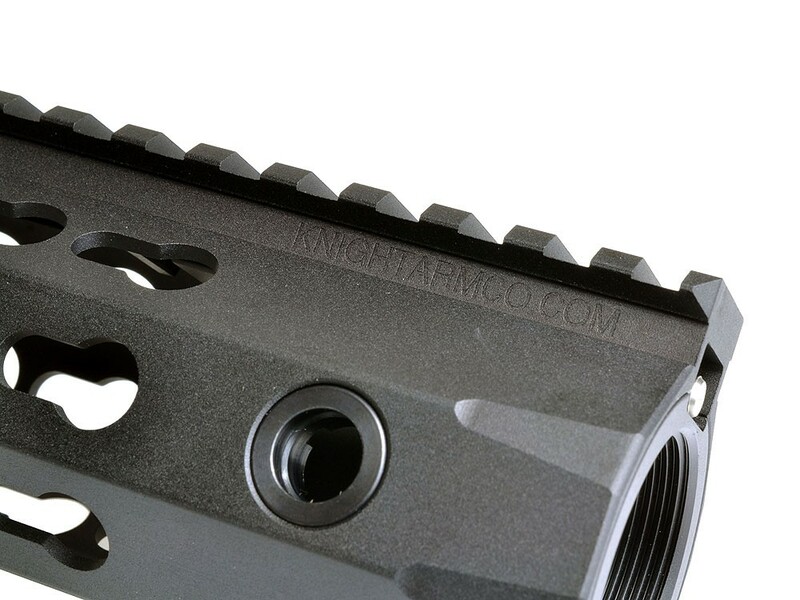 Officially licensed by Knight’s Armament, it adds a variety of keymod accessories options as well as component placement for different angles. 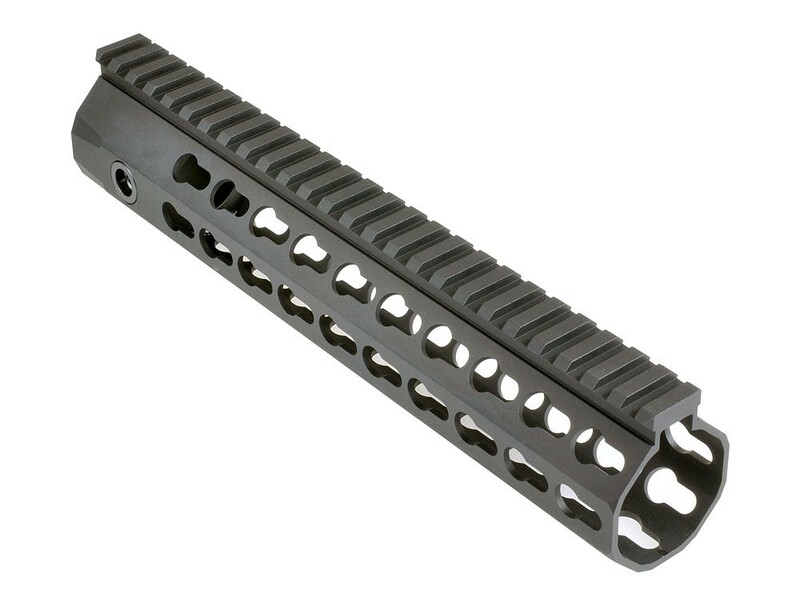 The Airsoft version is made out of anodized aluminum for a more serious feel and appearance. 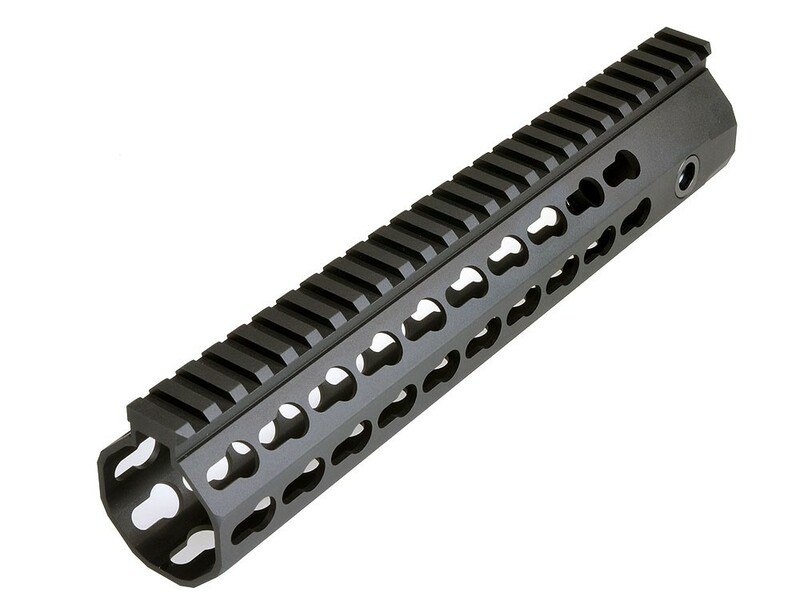 - User friendly mounting Keymod accessories.